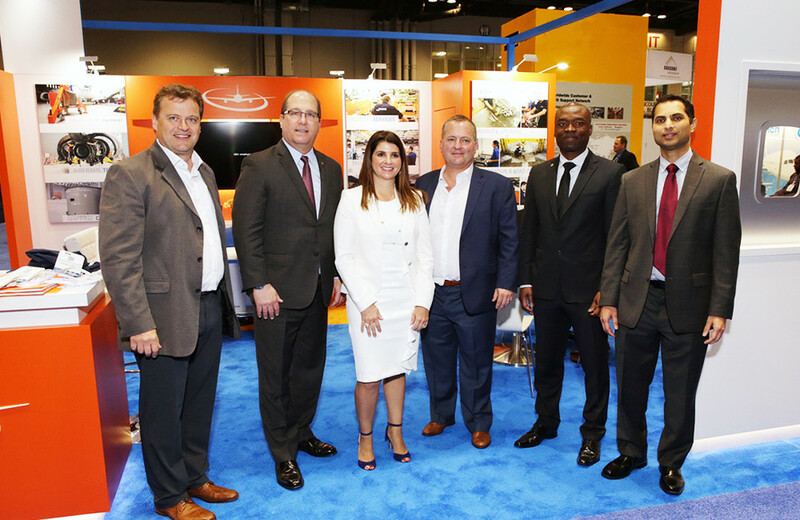 April 2018, Orlando, Florida, USA – Pratt & Whitney announced it has entered into strategic long-term agreement with Dedienne Aerospace for PW1100 Geared Turbofan (GTF) engine stands at the MRO Americas Conference in Orlando, Florida. This long-term agreement will further expand the Aftermarket supply chain and mark the first time that Pratt & Whitney’s Aftermarket organization has entered into a long-term agreement with an engine stand supplier. “This is another step forward for us and we are very proud to have been chosen by Pratt & Whitney. We are now a part of this incredible Geared Turbofan journey. The customer will benefit from our expertise and our ability to deliver this important development program,” said Karel Volot, President & CEO of Dedienne Aerospace LLC. Under the five-year agreement, Dedienne Aerospace, who specializes in aerospace maintenance tooling for civil and defense markets, will provide engine stands for the PW1100G-JM engine. In addition to the Long Term Agreement, Dedienne Aerospace and Pratt & Whitney are happy to announce a license agreement for PW1100 engine stands to support operations for all airline customers effective immediately.